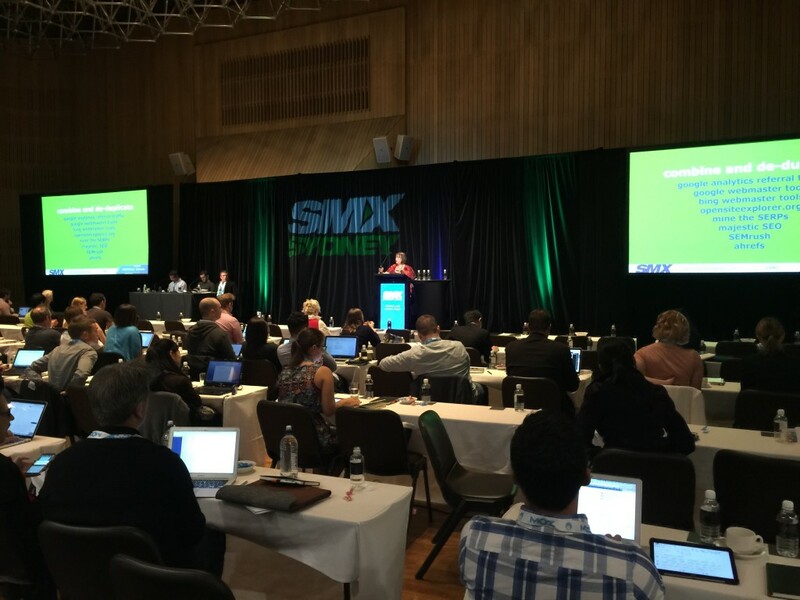 SMX Sydney 2015 (#smxsydney or #smxsyd15) took place this year at the SMC Conference and Function Centre on Goulburn Street in the heart of Sydney, Australia. 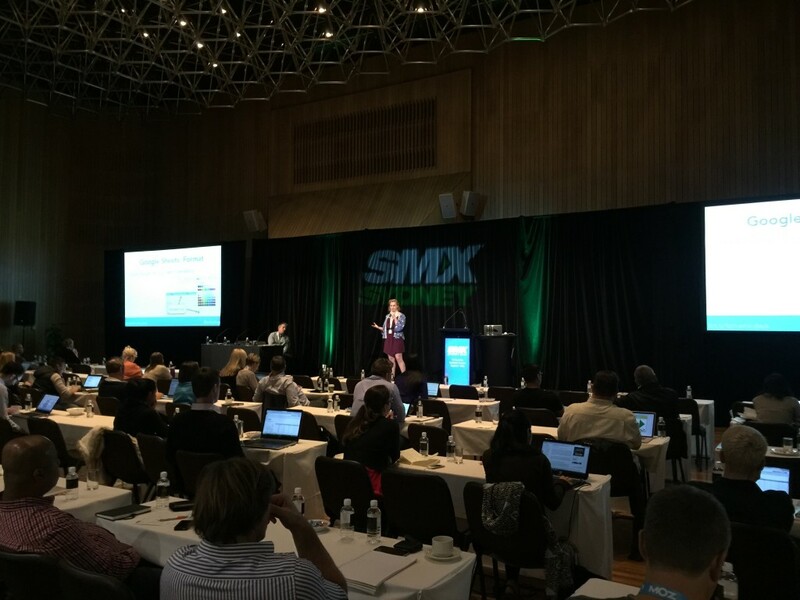 SMX is one of the premier search marketing conferences and one of the few quality search events that take place in Australia. Barry Smyth from No Drama Media has been running these events (and others) for years, the speaker line-up is always solid. 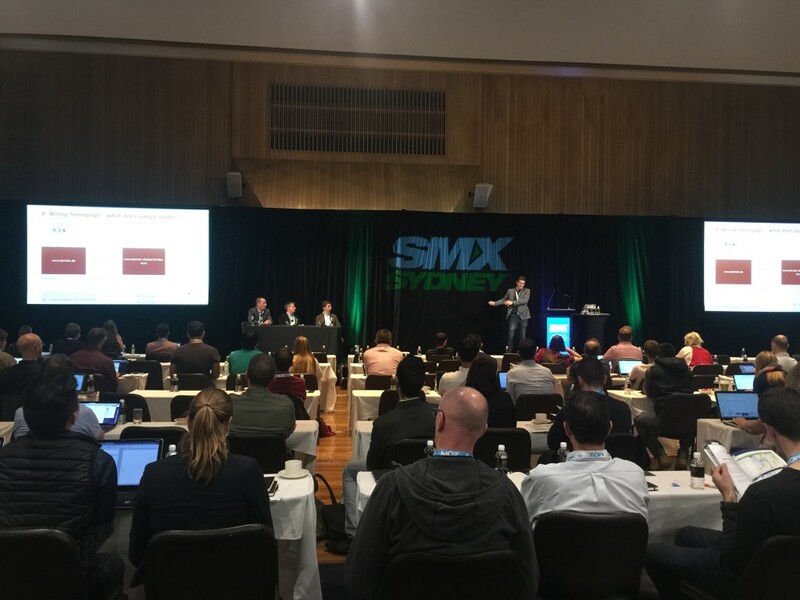 UPDATE: You can also check out my live blog of the Search Marketing Summit 2016 held in Sydney. Inspired by Woj Kwasi’s live blogging last year, using a lot of his (and others) tweets, I thought I’d try and summarise the main points and take-aways, along with links to slides, tools and some of my own comments. This post is a work-in-progress and will be updated over the next few weeks, apologies for any errors or missing pieces. I want to make sure I soak up the details of all the talks, while taking notes. 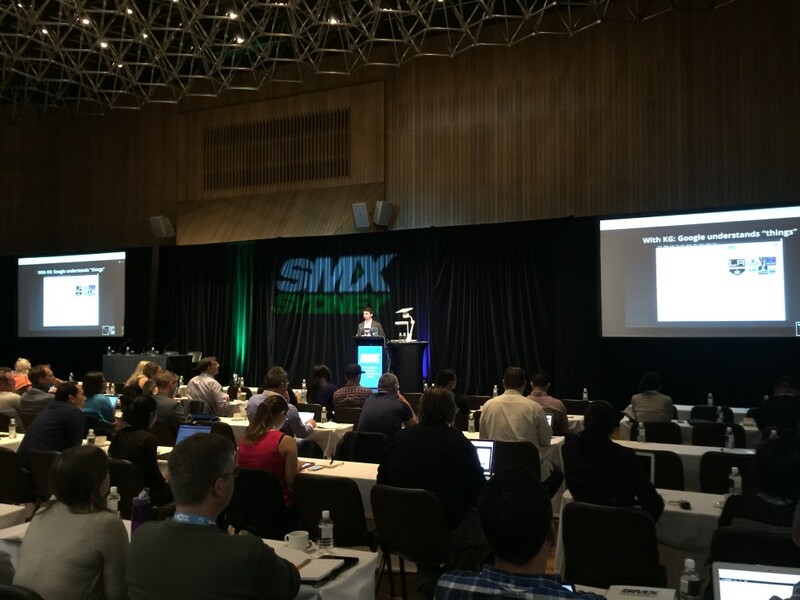 SMX usually has several streams, the Sydney event featured an SEO track and a PPC track. 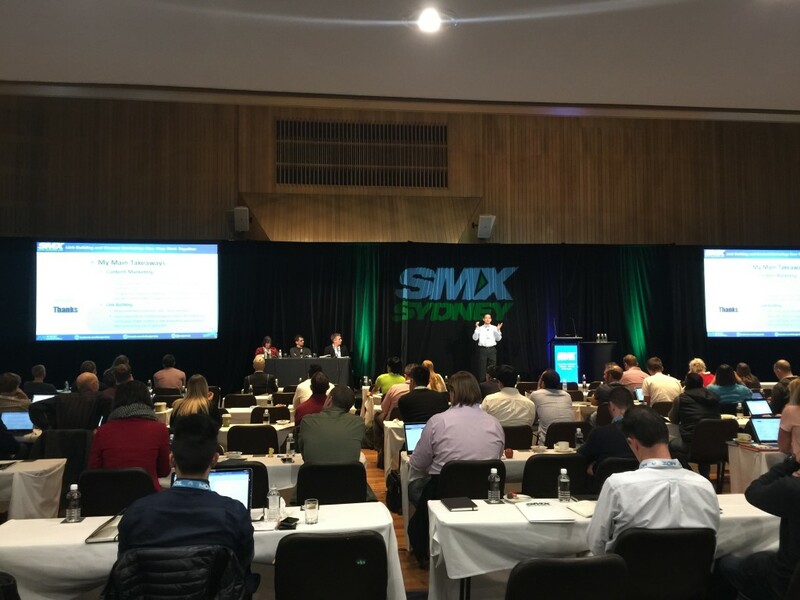 You can find the full SMX Sydney agenda here. If there was ever a time I could be in 2 places at once, it would have been at SMX. 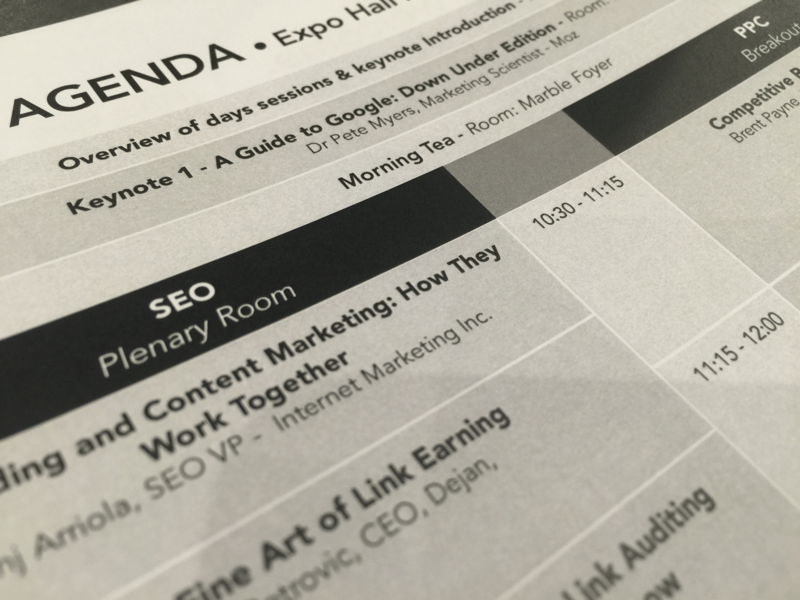 In this post, I’m only covering the SEO sessions. Going off the feedback from those that attended the PPC stream, that would have been equally awesome. I know I missed some brilliant speakers, but I’ll update this post to refer to as much related content as possible, it just won’t have any commentary. The keynote was kicked off by Dr. Pete Meyers, the Marketing Scientist at Moz and “Mad Hatter” at MozCast (a tool we’ve covered previously in our post on monitoring search ranking fluctuations). The audience was given a birds eye view of the many recent changes taking place in search. You can get the slides here. @dejanseo #SMXSydney #smx best of the day so far. Thanks Dan. Sha’s talks are always full of actionable information, something I always look forward to sitting in on. Her presentation focused on penalty prevention, it’s a topic that’s very technical and often misunderstood. I personally loved the theme of thinking about the future. It’s probably not as far away as we all think, we’re just all so used to things moving so fast. Woj Kwasi summarised Gary’s scoop on Google’s recent mobile update. I was lucky to chat to Jeff at a previous SMX about how marketing fits into operations. I remember how impressed I was listening to the importance he put on development and marketing operations. It’s something you don’t hear spoken about much, whether it be at marketing or development focused events – but I firmly believe it is where the magic happens, so needless to say I knew Jeff would nail whatever he spoke about. I wasn’t disappointed. I enjoyed listening to Jeff’s first hand experiences on gradual migration vs ripping the bandaid off. He also noted that a technically sound site our-performed the stronger domain (more detail to follow). 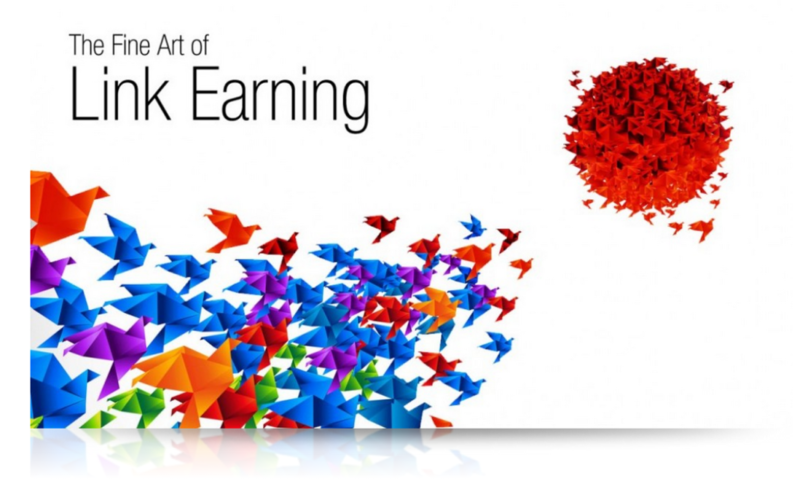 Site migration or change on high value sites can get tricky, so I agree with the stressing the importance of always learning. Jonas delivered excellent coverage of some of the main problems that can cause site issues and ranking problems. Kevin explored the evolution of intelligence platforms, those that go way beyond search. These systems will continue to know and learn much more personal information about us, the difference between work and home – which will enable truly smart systems. He demonstrated Cortana, and talked about the various Bing-powered platforms and devices (for the very keen, check out Echo – I hope to road test one soon!). Behshad Behzadi kicked off day 2 with an overview of where search is now and how we’ve got there. He then jumped straight into the topic of his presentation: what’s next? The world is changing. Mobile is the future, while mostly smartphones are used as examples when we discuss mobile, it’s more about a devices that move with you – including IoT connected devices. Voice is also generational, kids and teenagers are much more likely to embrace voice. Behshad ran an impressive range of queries, building in complexity. Then gave us a demonstration of app indexing. The next demo was sending an email to a colleague, which worked flawlessly. A few more searches were performed and then we were shown the various ways to deal with corrections. Context search then continued as the focus – the concept of context and location-based search is unbelievably powerful. Some more examples were then given on context can be better used to make conversations more natural. Is the ultimate assistant still science-fiction? Benji dove into the guts of content marketing, with some examples of his own processes and research. One thing I like about Benj’s talks is that he gives the audience plenty of actionable tips. As Senior SEO Manager at The Walt Disney Company, Jeff works on lots of sites with global presence. The first topic covered was choosing a domain: local ccTLD domain, subdomain, or subdirectory. There are many pros and cons for each choice. His opinion was that if you have an existing international set up, it’s probably best to keep it that way. Jeff then jumped into the good stuff, hreflang. He spoke about a case study using ESPN, the Disney.com/Disney.com.au as shown below. There was a good question about the whether or not to go with a ccTLD or subdomain, in the Disney example – disney.com.au was a decision made 15 years ago, so sticking with that was the best option. For a new project, it’s a different story. It was also mentioned that tracking and analytics can be easier when using a subdomain/folder structure. A handy tool for help understanding and using hreflang is the hreflang Tags Generator Tool. Tori started off by stressing the importance data and making it actionable. Setting specific goals (with numbers), e.g. Increase free trial signups by 15% by the end of 2015. She then walked us through a brilliant example of landing page analysis using data from Google Analytics and SEMrush. You can download a sample monthly reporting Google doc here, so we all have some homework! Jonas gave us a case study of various shopping comparison sites. With lots of data and screenshots, he performed a deep dive into why some quite large sites were positioned where they are, with the methods he used to come to get that data. The types of formats used for answer data are Schema.org (websites) and Open Graph (social). A ‘Feedback’ link usually denotes Knowledge Vault. If you’re looking for tools, take a look at Google’s Structured Testing Tool, Schema.org and Google’s Structured Data Customizer. How to adapt? Think structured data and data optimisation. 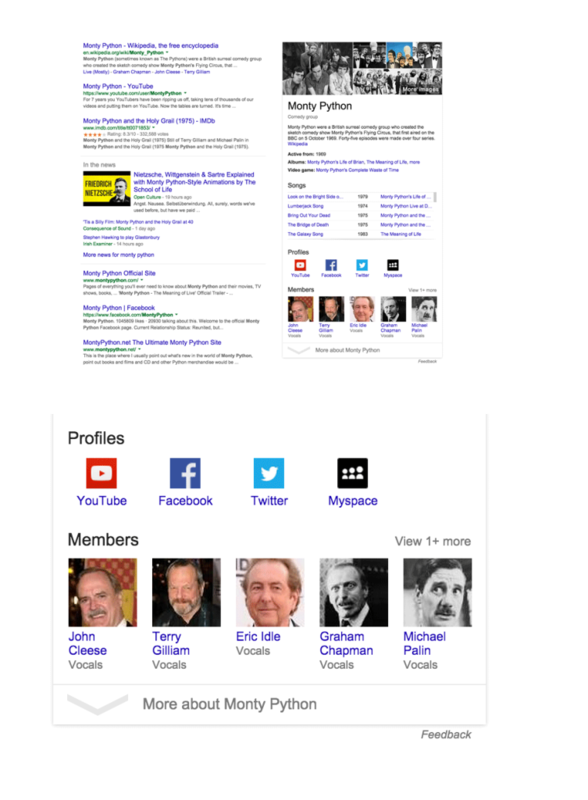 How does Google decide an authority on a topic for answers? They use frequently, consistently selected search results. Google also uses ‘confidence’ as a factor of what it chooses to display. It’s an interesting topic and personally something I still see a lot of opportunities in.